One of the most beautiful beaches on Alor island Indonesia is Dulibala beach located in Maritaing Village, Alor Timur Subdistrict, Alor Regency, East Nusa Tenggara Province, Indonesia. Alor Indonesia is directly adjacent to the state of East Timor. Here you will be greeted with a stretch of white sand beaches stretching along the valley of coral hills with a coastline about 1 kilometer long. The most beautiful beach on Alor island will pamper your eyes with crystal clear sea water with Tosca green color combined with a stretch of white sand and dazzling seabed creates a greenish water charm will make you feel at home for long in the beautiful beach like this paradise. In Alor Island in addition to having a panoramic view of the beach is very beautiful and amazing, On the Beach Dulibala also there are rocks perforated rocks that are eroded by the waves and you can enjoy the beautiful view of the beach from here which by the inhabitants called Naa "Batu Berlubang" to take pictures. In beautiful beach on Alor island, you can also directly buy fish from local fishermen offered at affordable prices. Fish sold are still very fresh and clean to burn. Indonesia beach vacation, especially Dulibala beach is located quite hidden and far from the center of Kalabahi City is still very natural and quiet. Vacationing in Dulibana Beach is like a vacation to a private beach because not many visitors come. The journey from Kalabahi town to Dulibala Beach takes a long time with a fairly heavy field. But when you arrive at Dulibala Beach, you will be presented with a beautiful beach panorama like a small paradise that makes you feel at home lingering on this beach for enjoy your Alor holiday. 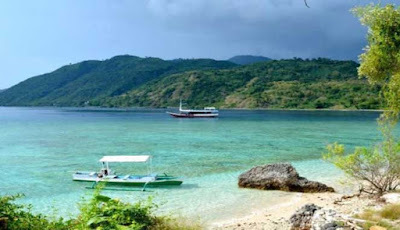 Vacation to Alor island tourism, especially the quiet beach Dulibala will give the feeling of peace and quiet to enjoy the sensation of the most beautiful beach on Alor island Indonesia. 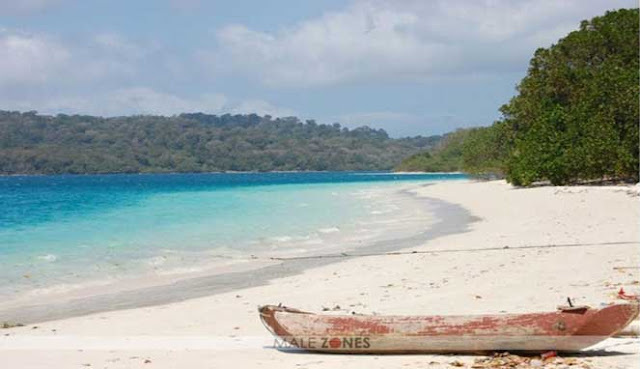 To get to Dulibala Beach, you have to take a ferry to Kalabahi Pier or by plane to Mali Airport from Kupang, East Nusa Tenggara Province's Capital. Next, from the town of Kalabahi, you use public transportation or rent a vehicle to Mariting Village in East Alor District. From here the journey continues by using a motor or special vehicles 4WD hills like Jeep car with a distance of about 50 minutes to the Village Elok.